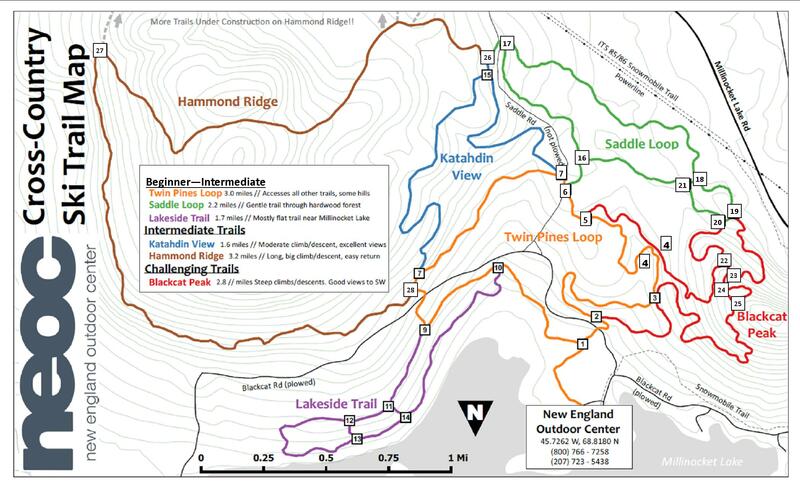 The ski trails adjacent to NEOC are expanding and currently there are over 15 miles of ski trails developed and groomed on Hammond Ridge and Blackcat mountain which form the southern landscape backdrop for NEOC. 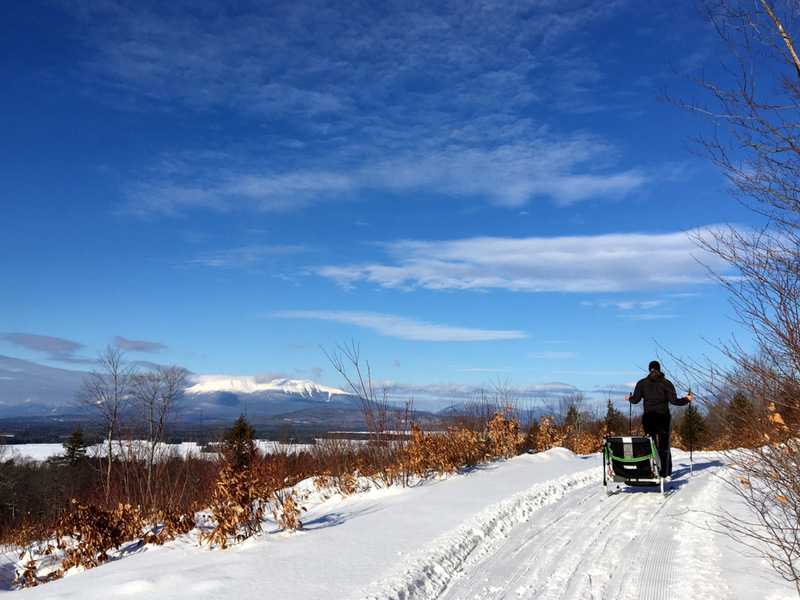 Katahdin Area Trails working with funding from Organizations such as the Sewall Foundation, The Quimby Family Foundation is expanding the existing ski trail based and building on-site, world class Nordic ski trails. The original ski trail system was designed by preeminent designer and Olympian John Morton. The terrain, featuring views of Black Cat Mountain is a mix of exhilarating down-hills, invigorating up-hills and everything in between. Be sure to pick up a trail map and check-in with the front desk before heading out on the trails. About Morton Trails: John Morton is the founder and a Principal of Morton Trails, involved in the design of over 100 trail projects across the United States and abroad. A seven-time Olympic participant, twice as an athlete for the US Biathlon Team and most recently as Chief of Course for Biathlon events at the Salt Lake City Olympics (2002), John began designing trails in 1989 after eleven years as head coach for the Dartmouth College Ski Team. He is a graduate of Middlebury College and served in the US Army in South Vietnam, released from active service at rank of Captain in 1972. In addition to remaining a competitive runner and skier, John is a frequent commentator on Vermont Public Radio and author of the novel Medal of Honor. 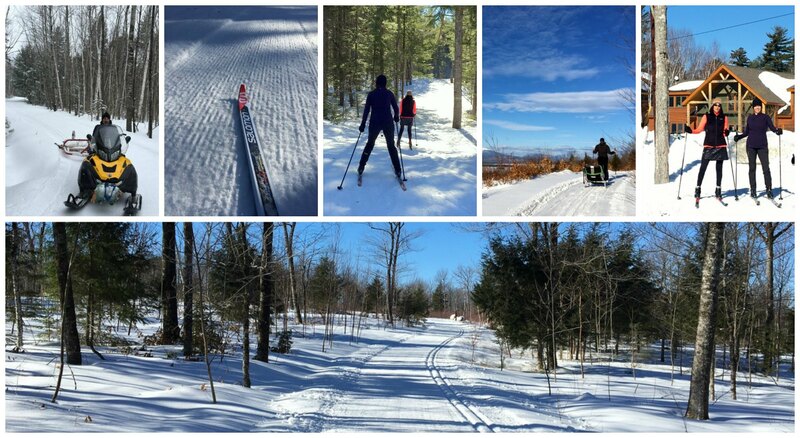 At NEOC, trails are groomed for both classic cross country skiing and skate skiing. We also accommodate athletic groups and school ski teams and will work with their coordinators to develop a program for the team that will help them excel in their winter sports events. We can and will custom groom trails or portions of them depending on what the group is training for. Trails in the region typically hold snow into April and with lodging accommodation and an award winning restaurant right on site, travel time for participants is minimized and comfort is maximized. Allowing for rest in comfortable private cabins in between training sessions. Contact [email protected] for group arrangements or call 800-766-7238.